CentrEd, ExCeL London's meetings and training venue, is on track to double business delegate numbers from 10,000 in 2016 to 20,000 in 2017, its second year. The venue is also set to double its revenue in 2017. Opened in January 2016, CentrEd at ExCeL has welcomed 15,000 delegates to a variety of different events from training and graduate programmes to networking, meetings and team building, with clients including Restaurant Associates UK, Barclays plc, the NHS, IQPC, Pearson and The Decanter World Wine Awards. 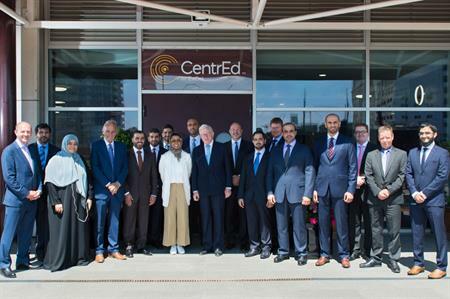 Rachel Williams, business development manager for CentrEd at ExCeL, said: "CentrEd’s success is proof that we’ve created the right product and our location, alongside Royal Victoria Dock, provides the right environment for training and meetings. With Crossrail opening next year, CentrEd will be become one of the best connected venues in London and South East. Our clients will have the ability to attract more delegates, from across London and the UK, delivering them to our front door in record time."